Turn your everyday suit into a trendy outfit with this retro graphic print tie by Puccini. The unconventional check pattern in sapphire blue sits on a solid black background. 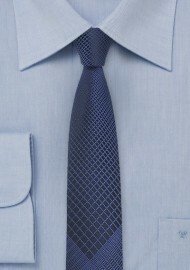 The skinny width of just 2.25 inches adds to the modern look of this trendy tie. 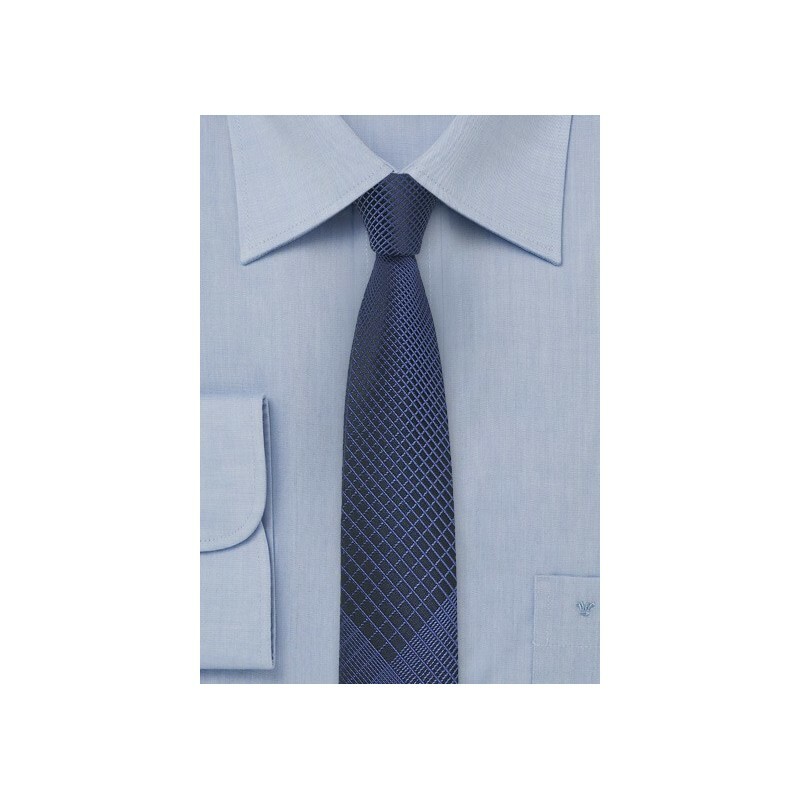 To match this tie we suggest a dark gray slim fitted suit with narrow lapels, solid white dress shirt, and the matching sapphire blue handkerchief. Made from care-free microfiber by Puccini.